At the time these paintings were made, both the new and old mills were standing in Northbourne. 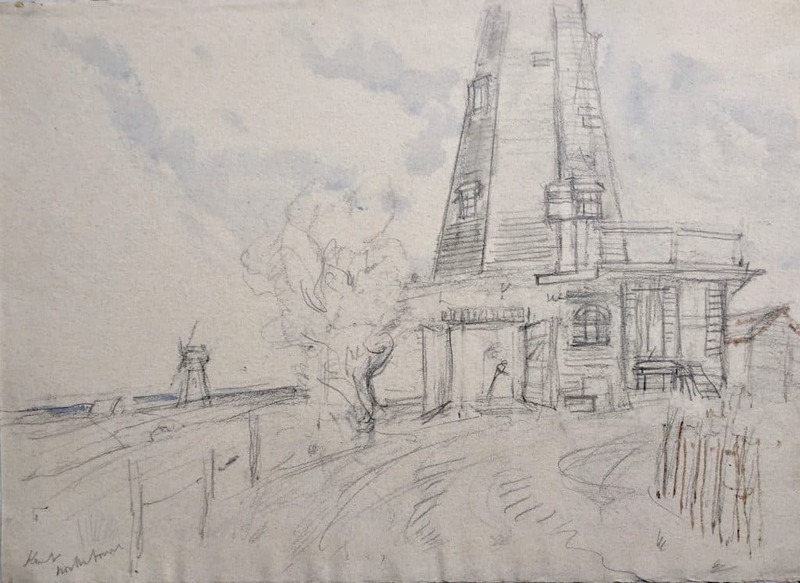 The painting on the left shows what is probably the Old Mill in the distance with the New Mill in the foreground. 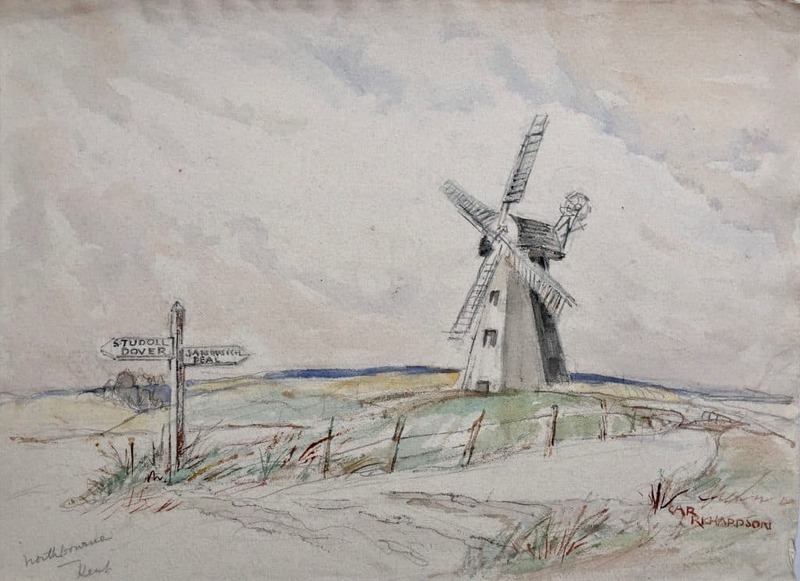 The right hand painting is presumably a closer view of the old mill, which was demolished in 1957.